Photo shows Communist Party of the Philippines founder and National Democratic Front of the Philippines chief political adviser Jose Maria Sison. 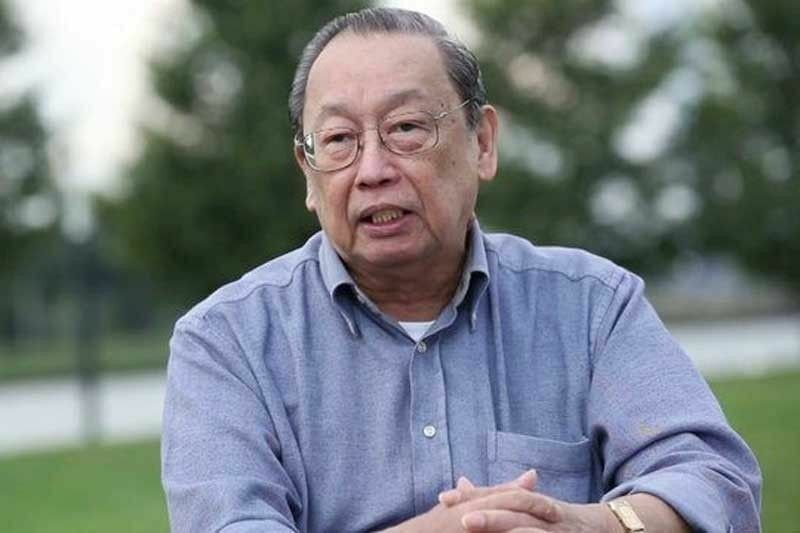 MANILA, Philippines — President Rodrigo Duterte seems to never get tired of repetitively terminating peace negotiations between the government and communist rebels, National Democratic Front of the Philippines chief political adviser Jose Maria Sison said. Duterte on Thursday announced the permanent termination of peace talks with the communists, saying he would no longer entertain any attempt to convince him to return to the negotiating table. The president had already formally done so as early as November 2017. “I am no longer entertaining any interventions or maybe persuasions in this democratic state of the Republic of the Philippines. My sense is that maybe you can talk to the next president of this republic one day,” Duterte said Thursday night at the anniversary of the Philippine Army. "As far as the NDFP is concerned, Duterte formally killed the peace negotiations on November 23, 2017 with his Proclamation 360 terminating them," Sison said. Weeks after the cancellation of peace talks, Duterte proclaimed the CPP and its armed wing, the New People’s Army, as terrorist organizations. “Since then, what Duterte has been doing is merely driving more nails into the coffin of the peace negotiations under his regime,” Sison said, claiming Duterte needs the armed conflict to continue as a basis for a de facto martial law nationwide and eventually a “full-blown fascist dictatorship” through charter change. The government has said it will focus on negotiations with local CPP-NPA units instead of pursuing peace talks through the NDFP, saying the supposed CPP-NPA leadership is out of touch because they are in self-exile abroad. “In these fake negotiations, people are gathered by local officials and misrepresented as surrenderers and the military officers collect the reward money for the fake surrenderers,” Sison claimed. Since the New People's Army was founded in 1969, communist rebels have been fighting a guerrilla war that they believe is the solution to social issues like landlessness, unfair landowner-farmer relations, foreign meddlng in the Philippines, and the use of the country's political system to favor political and business interests. Sison is hopeful that peace negotiations “can be resurrected” in the future by a new administration. “The Duterte regime is not eternal. It can be finished with the success of the oust movement, with the ends of his term in 2022 or with his certain overthrow as he forces his way to a fascist dictatorship,” he said.